Due to the foggy weather, at least 9 trains were rescheduled after getting delayed by at least 2 hours. NEW DELHI: After a few days of respite, the overall air quality index (AQI) again deteriorated to 'very poor' category on Sunday in the national capital after the level of harmful pollutants shot up. According to Centre-run SAFAR, Delhi's AQI was docking at 382 in the morning. At Dhirpur, the AQI was 423 at 9:30 am, while in Mathura Road area it dipped to 'hazardous' category at 416. Furthermore, the AQI near Pitampura, Airport Terminal 3 and Delhi University stood at 429, 452 and 454 respectively. 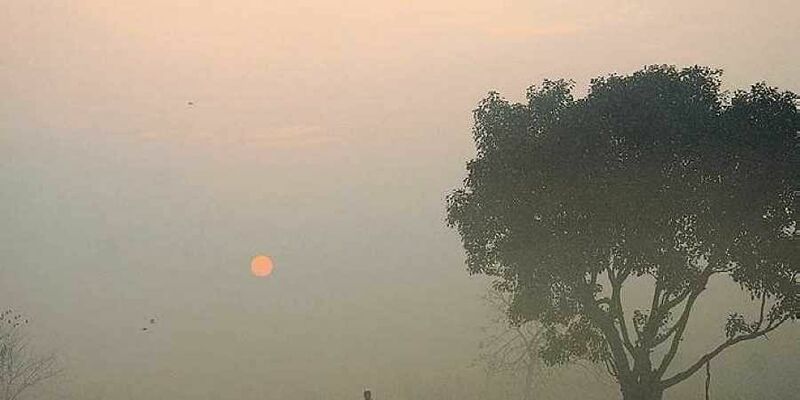 The India Meteorological Department has predicted that the weather in Delhi will mostly be foggy, with highs and lows reaching 23 Degree Celsius and 9 Degrees Celsius with haze and mist in the air. The trains -- Guwahati Express, Bhagalpur Express, Bhagalpur- Anand Vihar Garib Rath were delayed by 3 hours each. Owing to low visibility, the railways delayed Puri-New Delhi Purushottam Express, JayNagar-New Delhi Swatantra Senani express , New Jalpaiguri-New Delhi Express by 5 hours, 4 hours and 2 hours 30 minutes respectively. People residing in Delhi have been advised to restrict outdoor activities, especially those having breathing issues. While light showers early this week brought brief respite, the situation still remains bleak. Apart from vehicular and industrial pollution, practices like residue crop burning and use of bio-mass, such as cow-dung, wood and coal also aided to air pollution. With a large population relying on these practices, efforts to curb the menace of pollution need stringent measures.